Happy weekend. :) I don't know about you guys, but if there was ever a week for some retail therapy, it's this week, as far as I'm concerned! And I know I say this every week, but I really do mean it every single week...I've got some really amazing finds for you guys! I have a Valentine's Day Gift Guide and a GALentine's Day Entertaining Guide coming up next week, but today's finds include some really cute Valentine's Decor picks, along with a few other great finds I wanted to share.💕 To me, the new year is a time to spruce things up at home - to finally get to the organizing and decorating I always say I'm going to do but never find the time for. You'll find some really great home accessories in this week's finds! Let's star with that gorgeous wreath pictured above! It's by BKV Decor, where you can find several different Love-themed wooden signs for February, decorative jars, and many beautiful wreaths. My favorite is definitely the Valentine's Day Yarn and Felt Flower Wreath pictured above! 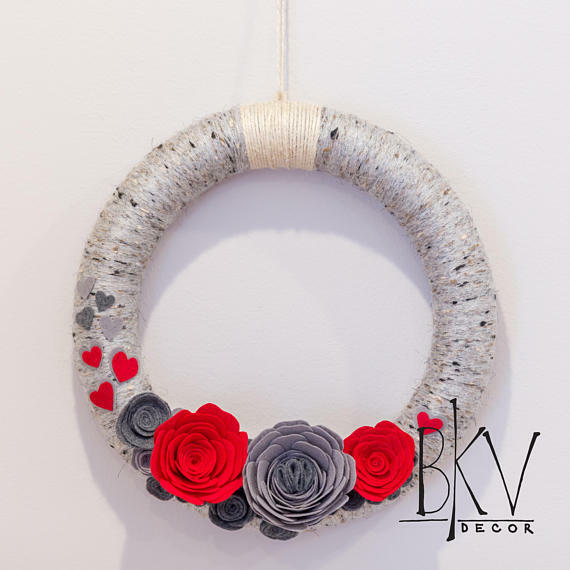 While Brittany, the owner and creator at BKV decor primarily carries yarn and felt wreaths, decorative jars, and wooden signs; she loves it when a customer comes to her with an idea and asks her to create something special for them. So needless to say, custom orders are welcome! Each items is handcrafted, and as you can see from the picture above, very unique. I love the modern color combination of the red and grey, don't you?! When I saw this next shop, I just had to include a fashion pick even though I've been focusing on home decor lately. I adore the big slouchy hobo purses at Dottie Brand Accessories! They look so sleek but are still casual and great for everyday use. I like to use bags like this for travel or for day to evening. They're big enough to keep a clutch inside; so whenever it's time to go out, or if you're out for shopping or dinner while traveling, you just quickly take out your clutch or wristlet without having to move all of your essential smaller items from purse to purse. 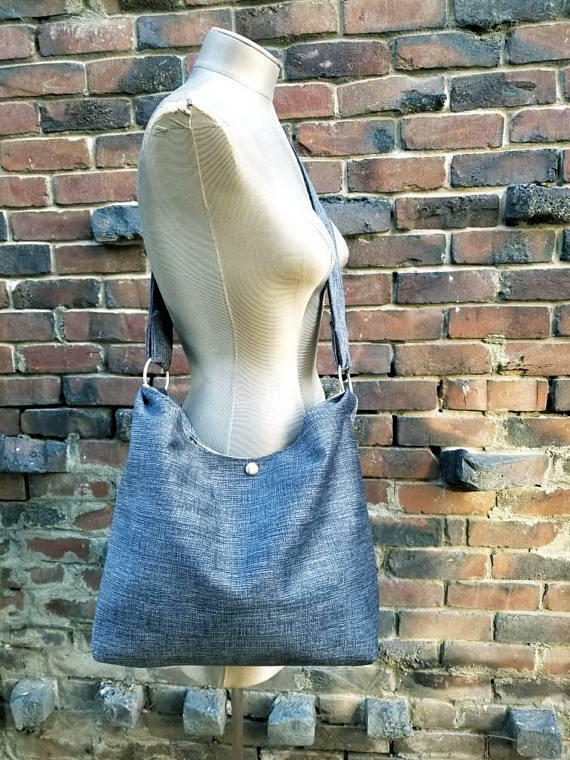 There are several different colors available, but my favorite is this Slouchy Grey and Silver Hobo Bag. The next featured shop Southern Cotton Decor, is a really great place to find some rustic wooden signs for your home. This trend started off strong last year, and it's still going to be a top home accessory trend for 2018, as is the modern farmhouse style in general. With Valentine's Day coming up next month (and the fact that we've just moved into a new apartment...again) I've got romantic decor on my mind. 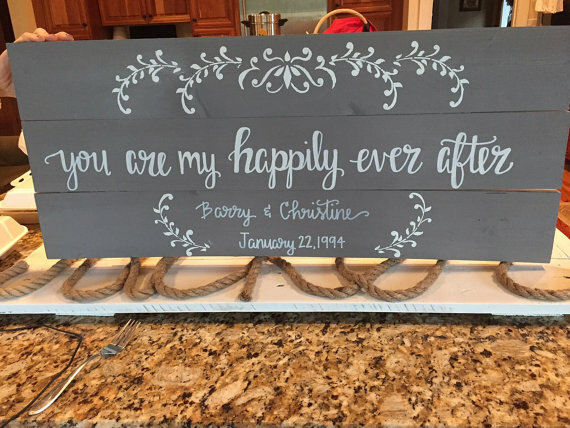 My favorite piece at Southern Cotton Decor is this sweet Personalized "You Are My Happily Ever After" Sign. It would definitely make for a sweet wedding or anniversary present! In addition to the rustic wooden signs, Southern Cotton Decor also carries printable watercolor art, like this pretty Cotton Ball Mason Jar Watercolor painting. Whether you like heart decor for the whole month of February, or you need some for a sweet party; you can get everything you need at Party Paper by Jessica. There are so many cute Valentine's Day paper party supplies; like banners, gift tags, and dessert toppers. I love the idea of using this cute mini Valentine Heart Banner as decor whether or not you're having a party. Lean a love-themed wooden sign on top of your fireplace mantle, for example, and hang the heart banner along the mantle ledge. 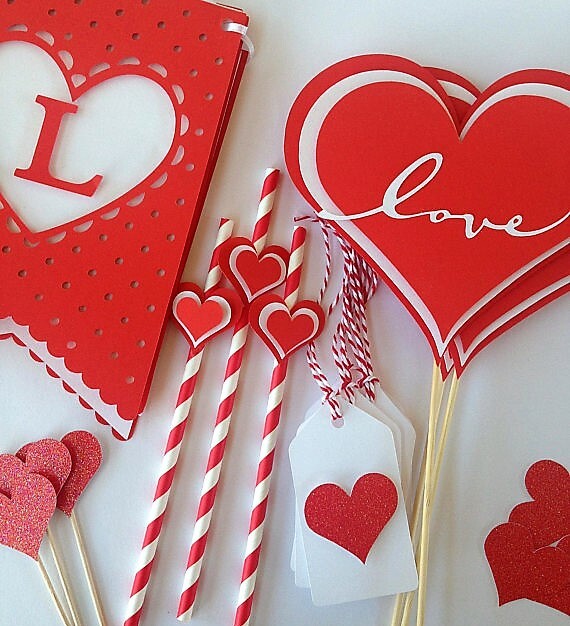 If however you do need decor for a Valentine's Day party, get all of your supplies covered in a snap with this all-inclusive Valentine's Party Decor Package! It includes 1 banner, 1 cake topper, 12 cupcake toppers, 3 centerpiece sticks, 12 decorative paper straws, 50 piece confetti, and 12 party favor tags. And did I mention how cute they are?! Enjoy the current sale on all Valentine's items beginning January 25th - January 31st. Take 10% off order total with no minimum purchase and no code needed. Candles are just perfect any time of the year. It has to be the most frequently mentioned type of product on Friday Finds. 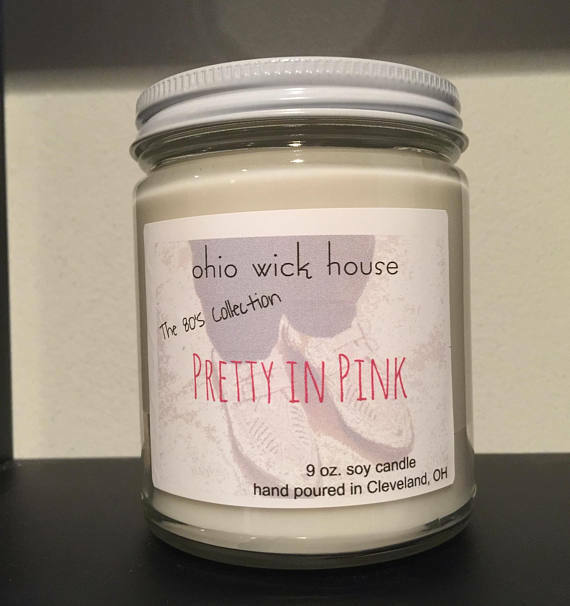 This week my top pick for candles was the Ohio Wick House which sell all-natural soy candles with non-toxic cotton wick. This shop has so many wonderful scents like lavender rosemary and lemon sage. But most importantly, it's the place to go for some really fun candle scents, like the 80s Collection. This nostalgic collection includes candles with names like The Breakfast Club and Pretty In Pink. In case you were wondering, Pretty In Pink smells like bubblegum of course. The Love Collection at Ohio Wick House is perfect for Valentine's Day; with scents like Open Your Heart, Light My Fire, and My Funny Valentine. My Funny Valentine is like "tiramisu in jar", with the scent of frangelico liqueur. That definitely sounds like it would be my favorite! Last but not least - I'm noticing a trend and that is that you guys LOVE anything printable. And it's easy to see why. They're so affordable and can instantly update the look of a room. Just buy it and print it in your home the same day. At Print Avenue Designs you can get pre-printed and framed art, and believe me when I say there is a huge amount of options at Print Avenue Designs. If however you want something you can print and hang this weekend, go with a printable. If you love something at Print Avenue Designs, and it isn't currently listed on the printables site, no problem! You can get any of their designs in a printable version for just $7! Today is the last day of their massive 30% sale when you spend $40 or more on any current printable designs available at Print Avenue. There are so many chic and modern designs. You can shop by color to suit your space; including blush tone, mustard, and chic neutrals. 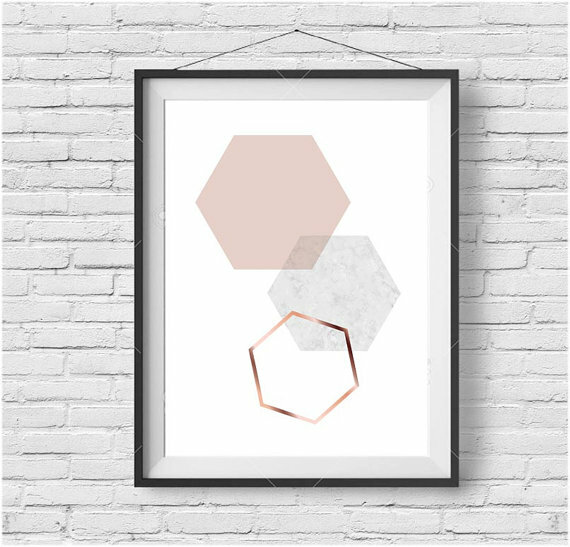 My top pick, especially for a chic work space, is the Scandinavian Honeycomb Blush Print. Well I truly do hope you all have a lovely weekend and like browsing all of these beautiful shops as much as I did. Grab a cup of coffee (or wine) and enjoy! Pretty clever ideas for home decorations, I believe it is time to spice things at home too. After cleaning massively the entire house last December it's time now for me to get these cute things. Totally! :) I think it's a great way to transition from winter to spring decor! Isn't is the cutest. :) You have a good week too, Simone!